Lyme disease is a bacterial infection primarily transmitted by ticks which are typically found in wooded and grassy areas. Lyme disease is present all over the world but dominant in the US and Europe. The more common tick vectors are the Deer Tick and the Lone Star Tick, however, other ticks can also transmit the LD bacteria. 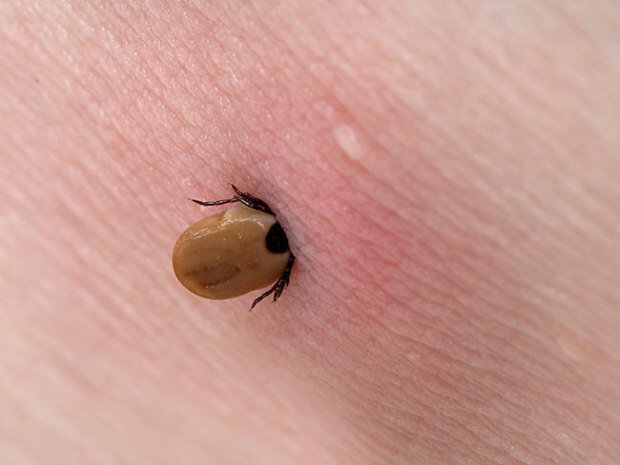 Ticks live in woody, grassland areas, but can often be found on pets such as cats and dogs and be brought into the house. There is often a bulls eye rash as an indicator of Lyme disease after a bite (but only in around 40% of cases). For this reason, some people are not aware they have been infected. Only 20-30% of people with Lyme disease recall being bitten by a tick. Some of these ticks are as small as a pin-head when in there nymphal stage, so it can be virtually impossible to know if you have been bitten. New evidence has shown that it is also transmitted by all biting insects such as mosquitoes, bed bugs, sand fleas, fleas etc and can also be passed from mother to child during pregnancy, from blood transfusions, as well as being sexually transmitted. The Centers for Disease Control and Prevention estimate that 300,000 people are diagnosed with Lyme disease in the US every year. This number is likely to be highly inaccurate – epidemiological data suggest that the actual incidence of Lyme disease could be as much as 10 times higher than the CDC data indicate due to all the people who have been misdiagnosed with other conditions because of inaccurate testing. Patients with Lyme disease are frequently misdiagnosed with chronic fatigue syndrome, fibromyalgia, multiple sclerosis, and various psychiatric illnesses, including depression and bipolar. Misdiagnosis with these other diseases are dangerous as the underlying infection can progress. Many suffering patients are told by mainstream doctors they do not have Lyme due to inaccurate testing methods and their understanding of the disease. Having been misdiagnosed with other things, many of these patients begin long term Lyme treatment and GET BETTER. Lyme diseases rarely comes alone. Some experts would like it to be renamed to “Tick Bourne Infection” as usually a person is infected with Lyme and co-infections as well. Or sometimes, co-infections with no Lyme. Co-infections include: Babesia, Bartonella, Ehrlichiosis, Anaplasmosis, Southern tick-associated rash illness (STARI), Rickettsia, Chlmydia pneumoniae, Chlamidia Trachomatis, Yersinia, Mycoplasma, Cocksackie Virus, Epstein Barr Virus. These co-infections make it difficult to treat because each responds differently to antibiotics. The immune system becomes so burdened that it then cannot keep viruses dormant, so these become reactivated and opportunistic bacteria, viruses and funguses can attack. For this reason, Lyme can cause secondary illnesses such as autoimmune diseases and leaky gut. There is more information in the Testing section of this website, but it is worth knowing that Lyme disease must be a CLINICAL diagnosis, meaning no test is 100% accurate. A doctor must diagnose you from a range of evidence, including symptoms and other secondary conditions common to Lyme. 30- 50% of people infected with LD have no symptoms at all or are asymptomatic, until some stressor like trauma, surgery, chronic stress, or another illness may then activate the LD infection. That makes the diagnosis much more difficult, because a person can be infected years before the symptoms actually occur. If Lyme is caught early (early stage Lyme), treatment is a 2-6 weeks of doxycycline (4-6 is optimal). If Lyme is not caught early, the infection can spread and the bacteria creates a gel like protection around it called a Biofilm, which makes treatment more difficult (chronic Lyme disease). The bacteria evades capture by the immune system and becomes antibiotic resistant. There is also something called Post Treatment Lyme Disease which is where the bacteria appears to be eradicated but people still have symptoms. This is because either the bacteria has not been eradicated because it is hiding in biofilms or because the body has been damaged by Lyme so symptoms remain due to this damage. A person may consider cell therapy in this instance as a regenerative medicine. Please see the treatment options page for more information. This symptom questionnaire is a good indicator of Lyme disease that has not been caught early. Mould: when the immune system becomes so burdened, exposure to mould starts to become a problem and mould illness can occur. This often comes hand in hand with other chemical and environmental sensitivities. Exposure to heavy metals, such as through amalgam fillings, can also become an issue. If you have fillings and think you have Lyme disease it is best to wait to get these removed until the immune system is stronger, so you avoid releasing more mercury into the system in the removal process. When you do get them removed, make sure it is done by a BIOLOGICAL dentist who uses a rubber dam and has an oxygen supply into the room and follows a safe mercury removal process. An NHS dentist will not do this. Leaky gut is very common with Lyme disease which can cause extreme food sensitivities. SIBO, parasites, candida, H-Pylori and other bacteria should be tested for. Low beneficial gut bacteria should be replaced. SIBO is often a symptom of neurological damage as digestion becomes sluggish and bacteria builds up. Often SIBO cannot be solved until the nervous system is functioning properly. Many adopt a paleo style diet to control this. Sensitivity to histamine releasing foods can also become an issue. The AIP or low histamine/FODMAPs diet may be adopted for more severe cases. Grains, specifically gluten, cause more inflammation for people with leaky gut and should be avoided. Autoimmune diseases are very common in conjunction with Lyme. If you have been diagnosed with an autoimmune disease, you may wish to consider Lyme Disease testing. Lyme and thyroid/adrenal problems go hand in hand. Many people with Lyme have an under active thyroid, which can also be caused by the autoimmune disease, Hashimoto’s disease. There is also a link between Lyme disease and POTS and Alzheimer’s disease. Lyme can severely diminish a person’s quality of life and can be fatal if not treated. More awareness is needed in the UK on the severity of this disease and more research is needed into testing and treatment options which are affordable for all. The CDC in the US is finally acknowledging that their testing methods are inaccurate and are researching better methods. Hopefully the UK will catch up to this too.